Okay folks, here you go, and have fun with it! As always, we'll pass it off to one of you terrific participants in a week to head up the next Speed Challenge. 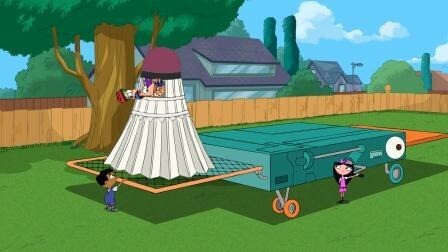 Those giant shuttlecocks remind me of an episode of Phineas and Ferb (Disney cartoon) where they build giant shuttlecocks they can ride in to play Platypus Badminton. Buckster's work is a great bit of comedy and much finer technically. Bumpity-Bump, folks! Only one day left! Go crazy and have some fun with it! Well, it's been about a week, so I guess it's time to choose someone to carry on the next challenge. I like them both, but I'm going with Tor this time, for playing on the shuttlecock theme.